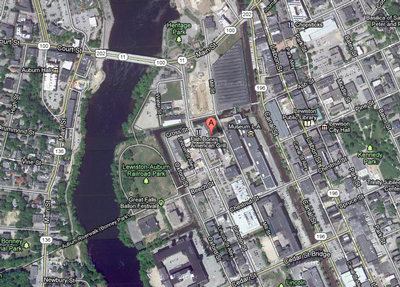 We are located in downtown Lewiston at 70 Lincoln Street, between Main and Chestnut Streets. You will find us next to Fishbones Restaurant, in the rear of the building. Please note that we have one entrance in the same building. One entrance is for Dr. Bouman (under sign for Bates Mill Dermatology), and the other entrance is for Dr. Burns and Alison Ravis, PA-C (under sign for Mill No. 6).